WCL News — In response to new rules enacted in Canada allowing foreign corporations to open retail cannabis establishments, the head of the premier US cannabis brand has said that he plans to enter the Canadian market. 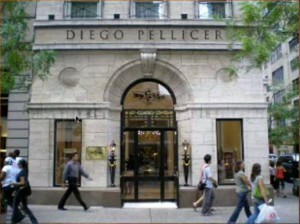 “Absolutely,” said Jamen Shively, co-founder and Executive Director of Diego Pellicer Inc., when asked whether he planned to enter the Canadian market. Long known as an illicit supplier of the US market for British Columbia’s famous “BC Bud,” Canada may soon find itself awash with high-grade American cannabis, courtesy of a former Microsoft executive. WCL News — Police in the US conducted one drug arrest every 20 seconds and one marijuana arrest every 42 seconds in 2012, according to a Federal Bureau of Investigation report released September 16, 2013. The Uniform Crime Reporting (UCR) Program report counts one arrest for each separate instance in which a person is arrested, cited, or summoned for an offense. It shows that 82.2% of all drug arrests in 2012 were for possession only and 42.4% of all drug arrests were for marijuana possession (88% of all marijuana arrests). This amounts to almost 750,000 marijuana arrests and more than 1.5 million total drug arrests in 2012. The total represents a slight decrease from years past. During the years 2006 to 2010, police annually made over 800,000 arrests for cannabis violations. By comparison, police made 757,969 arrests in 2011 for marijuana-related offenses, according to the annual Uniform Crime Report, released October 29, 2012. The 2012 data shows that police have once again concentrated more effort on arresting more people for marijuana offenses than for any violent crime. This policy is troubling to Law Enforcement Against Prohibition, an organization of police, prosecutors, judges and other law enforcement officials opposed to the war on drugs. LEAP pointed to the new figures as evidence that no matter how aggressively policd conduct it, the Drug War is a war that can never be won and is pursued at a heavy cost to society as well as to other police investigations of serious crimes. Law Enforcement Against Prohibition (LEAP) is a group of more than 100,000 law enforcement officials and other supporters who, after fighting the war on drugs, now advocate for its end. WCL News — Representative Earl Blumenauer (D-OR), Americans for Tax Reform (ATR) president Grover Norquist and National Cannabis Industry Association executive director Aaron Smith held a press conference to mark the release of a new white paper from ATR entitled Legal Cannabis Dispensary Taxation: A Textbook Case of Punishing Law-Abiding Businesses Through the Tax Code. The paper, published on September 12, calls for reform of Internal Revenue Code Section 280E, which essentially forces medical marijuana providers to pay taxes based on gross receipts rather than income, unlike all other small businesses. Additionally, the paper details Americans for Tax Reform’s endorsement of H.R. 2240, the Small Business Tax Equity Act, introduced earlier this year by Rep. Blumenauer and strongly supported by the National Cannabis Industry Association. Mr. Norquist also sent a letter explaining his support for H.R. 2240 to House Ways and Means Chairman Dave Camp. WCL News – Deputy US Attorney General James Cole told a Senate Judiciary Committee hearing on September 10, 2013 that in states where marijuana has been decriminalized or made legal, implementing a strictly regulated system in which cannabis is sold is the only way to prevent criminal activity such as diversion to youth and across state lines and empowerment of criminals and cartels. Cole did not challenge states’ rights to make their own drug laws, only restated the federal government’s right to challenge their regulatory schemes in pursuing certain priorities, such as preventing sales to minors, trafficking to other states, impaired driving, and increases in violence. Committee members Senators Patrick Leahy (D-VT), Sheldon Whitehouse (D-RI) were fully supportive of the new state laws and repeatedly stated the need for greater clarification of federal policy, particularly in relation to guidelines which prohibit financial institutions, security services, landlords and others from doing business with marijuana providers. They and Senator Richard Blumenthal (D-CT) expressed concern that federal regulators’ actions to block state-legal business access to simple banking and financial services inevitably undermines the viability of the industries. Witnesses King County (Washington State) Sheriff John Urquhart and Colorado Governor’s Chief Legal Counsel Jack Finlaw testified to the same problem. When Whitehouse brought up the federal government’s conflicting instructions on marijuana enforcement in the past, Cole merely affirmed the government’s right to intervene on a case-by-case basis. 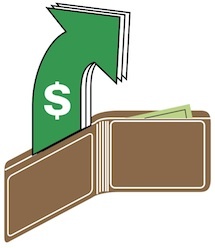 The hearing drew attention to a growing consensus among legal cannabis regulators, law enforcement officials, and business professionals that allowing access to banking services is now the most pressing obstacle to the success of the regulated marijuana industry in the states where it is legal for medical or adult use and ensuring the eight federal enforcement priorities outlined in an August 29, 2013 Department of Justice memo can be upheld. “We need to address the [banking situation] and we are working on it,” said Cole, who indicated the DOJ is conferring with the Treasury Department’s Financial Crimes Enforcement Division to resolve the issue. He said that they were working to establish regulations for financial institutions, landlords would be protected, and iterated that the DEA had merely asked questions of armed car and other security services, and had not issued an injunction forbidding them from working with marijuana businesses. Nadelmann pointed out that Senator John McCain (R-AZ) recently made headlines when he said, “Maybe we should legalize [marijuana]. We’re certainly moving that way as far as marijuana is concerned. I respect the will of the people.” Senate Judiciary Chairman Patrick Leahy (D-VT) has said the federal government “ought to respect” states that legalize and regulate marijuana. Senator Rand Paul (R-KY) has suggested decriminalizing all drug users, including marijuana users. Dan Riffle, director of federal policies for the Marijuana Policy Project, added that “We applaud Sen. Leahy and the committee for initiating a much-needed dialogue about our nation’s failed marijuana prohibition laws. We hope this discussion will inspire Congress to take action and make the Department of Justice policy the law of the land. Congressman Dana Rohrabacher (R-CA) has introduced legislation that would leave marijuana policy up to the states, and we call on members of the committee to consider similar legislation. WCL News — A new federal review and report has illuminated the failures of prohibition as a tool for controlling drug use. Despite hundreds of thousands of arrests and billions of dollars spent to reduce marijuana supply and demand, usage rates remain relatively unchanged while support for legalization has grown by leaps and bounds. The Office of National Drug Control Policy (ONDCP) released its annual National Survey on Drug Use and Health on Nov. 4, 2013, along with the Substance Abuse and Mental Health Services Administration. In the wake of the longest, broadest and most sustained attack in US history against the cannabis plant and its consumers, medical and otherwise, currently being waged by the Obama administration, social use has become more accepted and actually increased. Despite the blanket ban being foisted by the federal government, two states voted to legalize marijuana last year and the social consensus that cannabis is for adults and not for adolescents seems to be bearing fruit. The survey documents the fact that overall past-month marijuana use increased by less than half of 1% from 2011 to 2012, and use by individuals aged 12-17 decreased by less than three-quarters of 1%. Adults age 18 and above made up for the drop in teen use and use by seniors is reaching an all-time high for the US. This outcome is consistent with the expectations of many drug policy reformers, who have long held that legalizing adult use of cannabis would not increase adolescent use and could have the effect of reducing it. As the plant becomes less controversial and is seen more and more as being a medicine rather than a recreational product, illicit use has lost some of its glamor among minors and teen use continues to go down. “Today’s survey reveals nothing new,” said Dan Riffle, director of federal policies for the Marijuana Policy Project. “Billions of dollars are being spent to enforce marijuana prohibition laws, yet they have utterly failed to reduce supply and demand. By keeping marijuana illegal, our government is simply handing over control of a lucrative market to violent drug cartels instead of legitimate taxpaying businesses. “The majority of Americans agree that marijuana prohibition has failed. It is time to replace our broken marijuana laws with a more effective and efficient system of regulating and taxing marijuana for adults. Marijuana is objectively less harmful than alcohol, and it is time to treat it that way,” added Riffle. The Marijuana Policy Project, the nation’s largest marijuana-policy-reform organization, has been instrumental in changing most state-level marijuana laws adopted since 2000. Drug War critic and Hemp, Lifeline to the Future author Chris Conrad said that it is the efforts to legalize cannabis that have led to such approaches as responsible adult use, physician oversight, ‘good neighbor’ and safe smoking techniques. “The DEA and ONDCP want to glamorize marijuana to teens and keep marijuana in the hands of drug gangs,” said Conrad. “The reform movement wants to keep marijuana out of the hands of minors. Society has chosen its course, and only the vested interests of groups like the DEA, drug testing companies and the prison industrial complex want to maintain the status quo.” Ironically, he noted that Obama, himself a former pot smoker, is one of the biggest obstacles to reform. WCL News — Washington Governor Jay Inslee and state Attorney General Bob Ferguson have reached an agreement with US Attorney General Eric Holder to allow marijuana legalization to go forward in the Evergreen State. The announcement confirms the existence of long-rumored collaborative talks between state government and the federal Department of Justice on the implementation of the voter-approved Initiative 502 to legalize and regulate marijuana for adults. The press release also states that “Attorney General Holder made it clear the federal government will continue to enforce the federal Controlled Substance Act by focusing its enforcement on eight specific concerns, including the prevention of distribution to minors and the importance of keeping Washington-grown marijuana within our state’s borders. 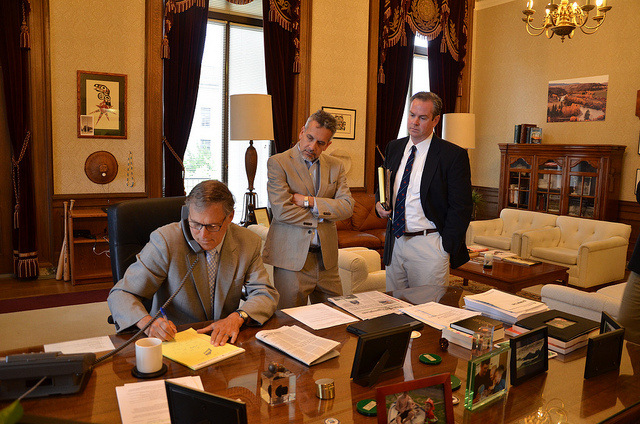 We share those concerns and are confident our state initiative will be implemented as planned.” The reference to the goals of blocking access to minors and preventing interstate trafficking may signal a working relationship between the state and federal governments which would ease tensions between Washington policy, which allows adult use of cannabis, and federal law which prohibits possession for the general public. Senator Patrick Leahy (I-VT) has scheduled hearings on the tension between state and federal cannabis policy next month. UCLA professor of public policy Mark Kleiman, who has also consulted with the state of Washington on implementation of I-502, recently released an article examining how a clause allowing cooperative contracts in the federal Controlled Substances Act – the federal law which prohibits cannabis – could legally allow reforms like I-502 to go forward if the state and federal governments cooperate on a policy designed to curb undesirable outcomes. WCL News – The Canadian Association of Chiefs of Police has recommended that marijuana possession should be reduced to a citation offense that does not lead to an arrest. According to an ﻿﻿August 20, 2013 CACP press release, its membership voted at its annual General Meeting in Winnipeg to ratify Resolution #04 – 2013 recommending that enforcement options should be expanded to increase police discretion when confronting the illicit possession of cannabis. The association represents more than 90% of the police community in Canada which include federal, First Nations, provincial, regional and municipal, transportation and military police leaders. • By receiving a ticket, individuals can avoid having a criminal record which can place significant barriers on travel, obtaining employment, bonding and citizenship. “The CACP believes the illicit use of cannabis has a negative impact on public safety and the health of young persons,” stated CACP Drug Abuse Committee Chair Chief Mark Mander. “By adding this additional policing tool, however, we are proposing a responsible public safety initiative that will be of overall benefit to all Canadians. 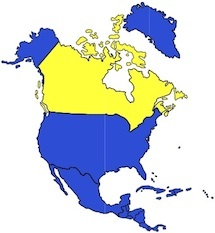 The Association was founded in 1905 and represents approximately 1,000 police leaders from across Canada. The Association is dedicated to the support and promotion of efficient law enforcement and to the protection and security of the people of Canada. Its vote came just days after Justin Trudeau admitted to having used cannabis while serving as a member of Parliament. Public support for Trudeau, who is campaigning to become Prime Minister, has increased since his admission. Variations of this policy, commonly referred to as ‘decriminalization,’ are presently imposed in 16 US states, including California, Connecticut, Massachusetts, Mississippi, and Nebraska. Two US states have legalized personal possession of up to an ounce (28 grams) of cannabis. WCL News — The UN policy on cannabis has been rattled by events in South America. A bill to legalize small cannabis collectives, allow pharmacies to sell medical marijuana and direct the national government of Uruguay to become one of the world’s largest cannabis distributors passed its most difficult political hurdle when the small South American country’s House of Representatives approved it July 31, 2013 by a vote of 50 to 46. The measure, which has been enthusiastically endorsed by President Jose Mujica, is expected to pass easily in the Senate. If the legalization bill becomes law, Uruguayan citizens 21 and older would have the right to form small collectives of up to six people to distribute the herb amongst themselves. Pharmacies would become the premiere destination for medical marijuana, exacting strict testing and labeling standards. Most significantly, the government itself would become directly involved in the trade by purchasing excess cannabis crops and selling the product at a price of about $2.50 per gram, a strategy calculated to drive illegal cartels out of business through cut-throat price competition instead of the violence which has heretofore characterized the global war on drugs. The pending policy would be the most liberal cannabis reform by any country since the worldwide accords which created the UN Single Convention on Narcotic Drugs of 1961. That treaty, signed by Uruguay and 183 other nations, may represent the largest stumbling block to successful implementation of Mujica’s plan. Policy experts have noted the unprecedented nature of Uruguay’s proposed reform (see, e.g., Marijuana Legalization: What Everyone Needs to Know, Oxford UP, 2012); it is therefore unclear how the UN may respond to the bill once it becomes law. While the plan may arguably fall under exceptions in the 1961 treaty which allow signatory governments to purchase excess cannabis supplies and thus divert them from the illicit market, such an interpretation has yet to be tested before international bodies. Rev. Roger Christie is fighting for his religious belief in sacramental cannabis use and the right to share with his congregants. Photos courtesy of Share Christie. WCL News — The THC Ministry church became the second non-Rastafarian church recognized by a US court to use cannabis as a sacrament on Aug. 5, 2013, when a federal judge in Hawai’i held that its founder was entitled to a defense in federal court under the Religious Freedom Restoration Act. The RFRA was adopted by Congress in the 1990s, then partially struck down as being unconstitutionally restrictive on state authorities. However, it remains in effect regarding federal prosecutors. Rev. Roger Christie, 64, has been held without bail in the Honolulu Federal Detention Center since July 8, 2010, fighting for his First Amendment religious freedom defense, ever since his arrest three years ago with the so-called “Green 14” sweep that arrested Christie and a group of his followers who used and provided cannabis to other church members. He faces federal trial for distributing cannabis to his church members for their sacramental use within their religion, much as another Christian church might provide wine to its congregants. Judge Leslie Kabayashi had earlier ruled on July 30, 2013 that his religious beliefs as Reverend of the Religion of Jesus (THC Ministry) are sincere, which allowed him to present evidence about his sacramental use and raise a religious freedom defense at his upcoming federal. That meant that the court held as a matter of law that his personal religion was legitimate, his beliefs sincere, and the government’s action have put a substantial burden on the legitimate exercise of religion. Christie’s church is affiliated with the Oklevueha Native American Church, which was legally recognized as using all plant medicines, including cannabis and peyote, as religious sacrament in 2006. 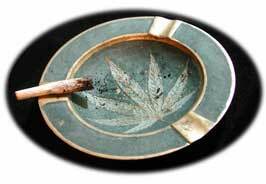 Religions of various denominations that use cannabis sacramentally are categorized as being Cantheist religions. The government argued at the subsequent hearing that bringing Christie to trial on charges of conspiracy to distribute marijuana was the least restrictive means and that had a compelling interest to interfere with church activities and prosecute its leaders. 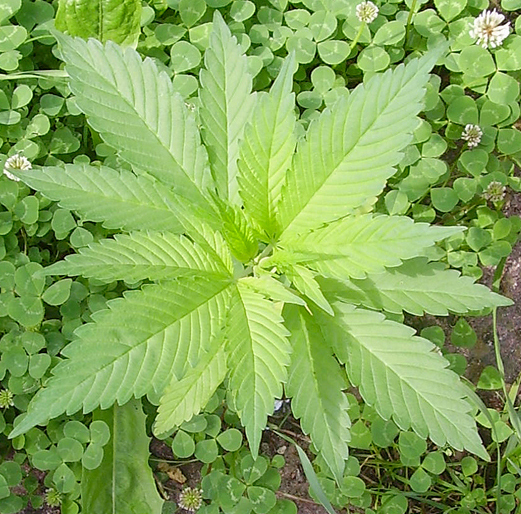 The court held that the sacramental use of cannabis was a legitimate and protected religious practice, so the government must now persuade a jury that the federal wish to suppress the use of marijuana is more compelling than the rights of a legitimate church to a practice its religious beliefs and that such a prosecution is the least restrictive way to enforce federal law without interfering with religious freedom. Christie must demonstrate that his church activities were sincerely intended for religious purposes and not merely serving as a cover for illegal marijuana cultivation and distribution activities. Rev. Tom Brown of the Church of Christ, another Cantheist-style church in Arkansas, who was sentenced to five years and imprisoned during the 1990s for his own church activities, sees this as being a major breakthrough. He noted that the US v Bauer ruling stated in part, “As to the counts relating to conspiracy to distribute, possession with intent to distribute, and money laundering, the religious freedom of the defendants was not invaded. Nothing before us suggests that Rastafarianism would require this conduct. These counts stand. As to the three counts on which the appellants were convicted of simple possession, the exclusion of the religious defense was in error.” Brown notes that Christie and his co-defendants must prove that the distribution of marijuana that occurred was a part of their sincere religious exercise and establishment. Since the church is a Christian faith, the Biblical admonition to “go forth and teach all nations” and the evangelical activities of Paul and the Apostles suggest that sharing the faith and its sacraments is a fundamental part of all Christianity-based faiths. The comparison is that many churches distribute wine to underage church members as part of their sacrament, yet they are not prosecuted for furnishing alcohol to a minor. Likewise in the US v UDV Church ruling, the importation and sharing of a controlled substance was held to be legal because it would not be distributed into the illicit market. Brown points out that in Kikumura v Hurley, the court held that under the RFRA’s “expanded definition” of “religious exercise” a Buddist inmate’s desire to have visits by a Christian pastor, while not required by the Buddhist “system of religious belief”, was nonetheless a “protected exercise of religion”. An online petition for Christie’s release is posted at this link for supporters to sign. http://www.avaaz.org/en/petition/Free_Reverend_Roger_Christie_RIGHT_NOW/?kkBfAab. An online petition for Congress to recognize all Cantheist faiths is posted online at http://www.avaaz.org/en/petition/Recognize_Cantheism_as_A_Valid_Religion_Under_The_First_Amendment/?launch. WCL News — A Yuba County CA jury acquitted medical marijuana patient Eric Salerno Aug. 9, 2013, who had been arrested in a Marysville fast food restaurant parking lot April 22, 2011 with $3500, a scale, several pounds of marijuana and another valid patient. Both patients showed their physician recommendations to the police, however, when the other patient cut a deal in exchange for testifying against him, the prosecution moved forward. 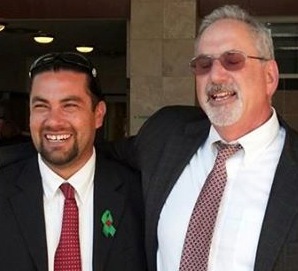 Salerno and his wife, Desiree, raise their two young sons Lorenzo and Andreas in the Yuba County foothills. The first judge in his case, Judge James F. Dawson, denied Salerno his medical marijuana defense. 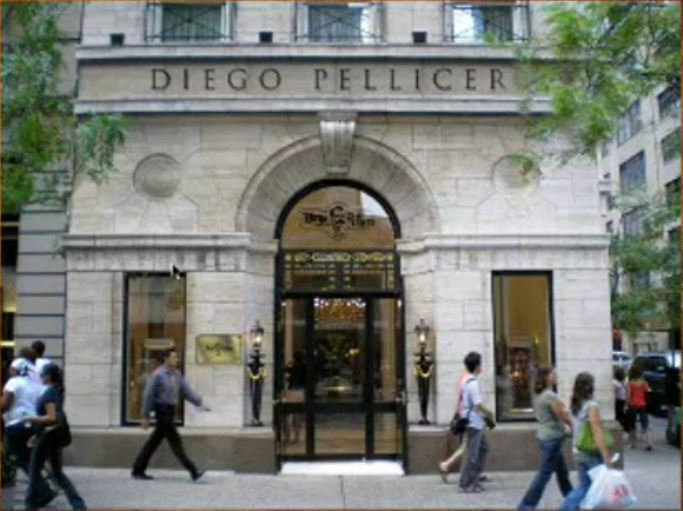 Allison Margolin’s law office filed a writ of mandamus to the third district appellate court, which issued a stay of the proceedings and allowed Salerno’s medical defense to be reinstated. 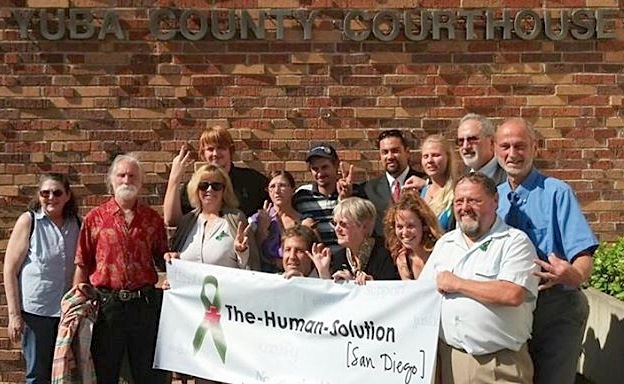 The trial courtroom was packed with patients and supporters, thanks to a court activism network called The Human Solution. Trial attorney Michael Levinsohn was fully prepared to elicit the testimony of several patients, cannabis expert witness Chris Conrad and gardening expert Michael Hanson to press a multi-faceted medical use defense. However, after DDA John Nash rested his case, it was clear that a key element of establishing proof beyond reasonable doubt was missing from the case. The prosecution was relying upon the notion that having a scale automatically proves an intent to sell, a notion that had been dispelled years earlier in the People v Chakos case. After consulting with his team, Levinsohn adopted a tactic akin to legal jujitsu. Instead of putting on his own witnesses, Levinsohn took his opponents own move and used it against him by getting a key prosecution witness to agree that a patient has other uses for a scale that do not involve selling marijuana. Levinsohn asked for a dismissal based on insufficient evidence, and trial Judge Julia Scrogin agreed and dismissed two counts, attempted sales and transportation. The one remaining charge went before the jury, possession with intent to sell, allowing the jury to interpret why the scale was present. Defense counsel slammed home the point that the evidence showed only that two lawful patients were in a parking lot with marijuana, scales and money, but not what either person’s intentions were for being there. Levinsohn argued that patients have a right to have money and a defense to possess marijuana, so that no logical person could presume that simply being in the presence of a scale made Salerno guilty beyond a reasonable doubt. After just one hour of deliberation the jury came back with a clear and unanimous decision of not guilty and granted him a full acquittal. The courtroom erupted in cheers and supporters had tears in their eyes. Salerno and Levinsohn hugged each other and sobbed, and even the jurors seemed to be happy with the outcome. Many stayed after court to congratulate and talk with Salerno and his supporters. “Fight back and never give up,” Salerno admonished his supporters outside the court, “even when you loose, and they deny your rights, fight back. Make them realize you are the righteous one.” He praised and credited Margolin and Levinsohn for their hard work to secure his acquittal. — West Coast Leaf News Service. Human Solution supporters in Marysville with patient Eric Salerno and attorney Michael Levinsohn. A new start for hemp? The US House of Representatives has approved a version of the farm bill which includes hemp reform to allow for states to authorize hemp research. It does not authorize large-scale hemp farming, which is essential to making the US competitive in the global industrial hemp markets. The bill now heads to the Senate, which must approve the measure to send it to the President for approval. This is the first time since the 1950s that a hemp authorization bill has cleared Congress. For over 75 years, federal law has banned the cultivation of every strain of cannabis, regardless of its psychoactivity, despite a long heritage of industrial hemp farming in US history. The amendment to the approved farm bill would allow universities to grow non-psychoactive hemp strains for research purposes, ending a blanket prohibition which has been in place in de-facto form since 1937 and overtly through the Controlled Substances Act (CSA) since 1970. The United States Conference of Mayors unanimously passed a resolution June 25, 2013 criticizing the failure of marijuana prohibition and urging the federal government to respect the ability of states and cities to implement policies like marijuana legalization and medical marijuana without interference. The resolution is co-sponsored by 18 mayors, including Bob Filner of San Diego (California), Mike McGinn of Seattle (Washington), Carolyn Goodman of Las Vegas (Nevada), Jean Quan of Oakland (California), Steve Hogan of Aurora (Colorado), Marilyn Strickland of Tacoma (Washington), Kitty Piercy of Eugene (Oregon), and William Euille of Alexandria (Virginia), among several others. A recent Gallup poll found that 64% of Americans say the federal government should not enforce anti-marijuana laws in states that have opted for a new approach. A poll by the Pew Research Center found that 72% of Americans believe that government efforts to enforce marijuana laws cost more than they are worth and that a majority (52%) support legalizing and regulating marijuana like alcohol. Marijuana legalization got more votes in Colorado in November 2012 than President Obama did. A naturally occurring analogue of THC — tetrahydrocannabivarin (THCV) — has positive metabolic effects in animal models of obesity, according to preclinical study data published online in June in the scientific journal Nutrition & Diabetes. British researchers assessed the effects of THCV administration on dietary-induced and genetically modified obese mice. Authors reported that although its administration did not significantly affect food intake or body weight gain in any of the models, it did produce several metabolically beneficial effects, including reduced glucose intolerance, improved glucose tolerance, improved liver triglyceride levels, and increased insulin sensitivity. 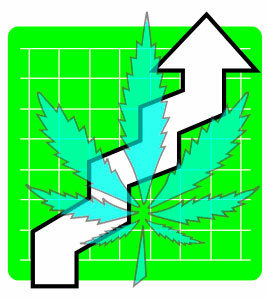 Public opinion polls show a surge of support for cannabis reform in the first half of 2013. Even many Republicans and young Christians favor more progressive policies than the Obama administration has delivered, but federal officials lag far behind. Industrial hemp — while not well known — is nonetheless widely supported. Fifty-six percent of Americans support legalizing industrial hemp farming and production of low-THC strains, according to national polling data released in May by YouGov.com and The Huffington Post. The Pew Research Center for the People and the Press released a poll in early April that found 52% of Americans favored marijuana legalization, compared to 45% for keeping it illegal. This was the first time in the history of the Pew poll that legalization has been favored by a majority. A lot depends on how the question is framed. More than nine out of 10 US adults agree that people who possess or use small quantities of cannabis should not face jail time, according to a May 2013 nationwide poll of 1,003 adults by Princeton Survey Research Associates Int. for Reason Magazine. A 52% majority said that they would support passage of federal legislation to “prevent the federal government from prosecuting people who grow, possess, or sell marijuana in the states that have legalized” such activities, while 42% said they oppose it. The moralistic argument has apparently lost its luster for many. Most Americans don’t view marijuana use as a sin, and half of young Christians favor legalizing marijuana consumption for adults, according to polling data released in April by the Public Religion Research Institute. Among self-identified Christians age 18 to 29, 45% said they had used cannabis, 32% “strongly favored” legalization and another 18% simply “favored” it, for a total of 50%. Sixty-six percent of respondents who were not religiously affiliated supported it. By contrast, only 9% of Christian age 65 and older endorsed legalizing marijuana. According to a nationwide Fox News telephone poll of 1,010 registered voters conducted in February and released in May, 85% of voters, including 80% of self-identified Republicans, agree that adults ought to be allowed to use cannabis for therapeutic purposes if a physician authorizes it — the highest level of public support for the issue ever reported in a scientific poll. “Despite the overwhelming public support for medical marijuana law reform, legislation in Congress to amend federal law to allow for its use in the 18 states which permit it, House Bill 689, the States’ Medical Marijuana Patient Protection Act, has only 16 co-sponsors out of a total of 435 House members and is not even scheduled for a public hearing,” noted NORML director Allen St. Pierre. Whereas hundreds of local dispensaries are in compliance with the state’s Medical Marijuana Program (commonly known as SB420), the ruling now gives a green light to the more than 80 municipal governments seeking to use land-use ordinances to block cannabis storefronts from operating. 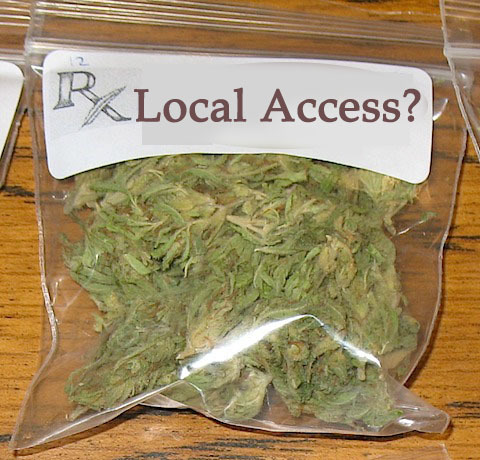 The case revolved around the decision by the Southern California city of Riverside to ban dispensaries as a prohibited land use and demand that the IEPHWC close its doors. The center fought the injunction in court, where both the trial and appellate judges ruled against it. In the wake of their appellate victory, Riverside City Council voted to prohibit dispensaries from making deliveries within city limits. The new law, which went into effect immediately, has already been met with resistance by some local dispensaries, which have apparently continued their deliveries in defiance of the ban. The nation’s largest medical marijuana patient advocacy group, Americans for Safe Access (ASA), filed a petition with the federal court of appeals March 22 in its epic battle to force the federal government to comply with its own laws on medical marijuana. The UN drug control treaties authorizes nations to allow the medical use of cannabis and the federal Drug Enforcement Administration (DEA) is required to move the plant out of its banned status, Schedule 1, if it has accepted medical use. Currently 18 states and thousands of studies agree that it has medical value and is wrongly prohibited. In its widely watched case that seeks to reclassify marijuana for medical use, ASA v. DEA, the patient group seeks a rehearing before the original panel, as well as seeking full (en banc) review by the US Court of Appeals for the Washington DC Circuit. The circuit court had granted plaintiffs standing — recognized its right to sue the federal government to reclassify marijuana — but denied the appeal on its merits on Jan. 22, 2013 by setting a new, virtually impossible to meet standard for assessing medical efficacy. Essentially, it held that if the DEA says cannabis has no accepted medical value and insists that the plant must pass all the federal requirements used for a single molecule medicine and do so without anyone being allowed to do those studies, it must be right because DEA alone — not scientists — gets to pick and choose what studies to accept. Its position has been likened to the medieval church declaring that the world was flat simply because church bureaucrats proclaimed it to be so, despite all evidence to the contrary. “To deny that sufficient evidence is lacking on the medical efficacy of marijuana is to ignore a mountain of well-documented studies that conclude otherwise,” said ASA Chief Counsel Joe Elford, who argued the appeal before the D.C. court last October. “The Court has unreasonably raised the bar for what qualifies as an ‘adequate and well-controlled’ study.” ASA cited more than 200 peer-reviewed studies in its appeal, but the court held that plaintiffs must produce evidence from Phase II and Phase III clinical trials as used by companies trying to bring a new drug to market. The DEA has blocked such studies from being undertaken with cannabis. The Coalition for Rescheduling Cannabis, made up of individuals and organizations including ASA, filed a petition to reclassify marijuana in 2002 that was denied by DEA in July 2011, after ASA sued the Obama Administration for unreasonably delaying the answer. The appeal to the DC Circuit was the first time in nearly 20 years that a federal court has reviewed the issue of whether adequate scientific evidence exists to reclassify marijuana. At that time the court had rejected the patients’ standing to seek reclassification. National polls since have consistently shown support for medical marijuana among Americans at around 80 percent. Advocates point out that the research approval process for marijuana, controlled by the National Institute on Drug Abuse (NIDA), is unique and only allows research into harmful effects, not medical efficacy. After Rep. Earl Blumenauer (D-OR) and several other members of Congress introduced HR689 in February, the “States’ Medical Marijuana Patient Protection Act,” hundreds of supporters met in Washington DC to lobby for its passage. It would reschedule marijuana allow states to establish production and distribution laws without interference by the federal government, and remove current obstacles to research. House Minority Leader Nancy Pelosi, one of the most powerful and top-ranking leaders of the Democratic Party in the US, told a Denver Post columnist that she agrees that federal authorities ought to respect state marijuana laws. When Electa Draper asked, “What are the measures in Washington (DC) that might address states that legalize marijuana and what is your view of federal policy,” Pelosi expressed her support for state laws and encouraged a tax and regulate marijuana policy in an interview published March 11, 2013. “I support the leadership of Jared Polis, who has been a leader on this issue as well as other members. I understand some of the Republican members support the law now that is passed, even if they didn’t before. But in any case, to answer your question, what is my position regarding the states that have medical marijuana or recreational marijuana as the law of their states: I think that has to be respected. I think tax and regulate. The full interview is posted at denverpost.com. This is an archive site including the West Coast News quarterly newspaper and website. Please visit our new website at theLeafOnline.com! See our new content ¡en español! We are proud to announce the creation of the West Coast Leaf News Service as a national news syndicate to supplement print publications with a cogent and reliable stream of cannabis news reports to provide to their readers. Among our current subscribers are the American Cultivator, in Michigan, and the NW American Hemp News, in Oregon. Publishers and editors: If you wish to subscribe to our news feed, please send an email to news@westcoastleaf.com for details. We are happy to provide news content under with our masthead and slogan, “The cannabis newspaper of record,” or as stand alone news reports. In return we ask that our tagline, — West Coast Leaf News Service, be included at the end of the article. Contributors: West Coast Leaf may or may not publish as a stand-alone newspaper in the future, but we are keeping the website updated with the same high-quality information that we provide to other publications. We continue to solicit and gather articles for our website and to be made available for other publications to use. Photographers, we need photos and would like to get your work published for you. I want to help support the West Coast Leaf. All material Copyright © 2008, 2009, 2010, 2011, 2012 • All Rights Reserved by West Coast Leaf and Creative Xpressions. Business license EC08-0002765. ISSN 1945-211X. West Coast Leaf, The Leaf and WCL are recorded with the US trademark office, registration number 3,569,700.